Cherrybomb has a strong cast and is competently directed, but ultimately suffers from a sluggish script that goes nowhere. The opening suggests that the protagonists will spiral out of control, but what that amounts to is a host of clichés: teens experiment with drugs (GASP! ), have sexual experiences (DEAR LORD! ), steal a car and crash it (YIKES! ), and finally break into the local leisure centre (yawn...err, I mean YOWZA!). The film is more earnest and complicated than I am making it sound, but I hope to have captured its central flaw. Teen behaviour is routinely sensationalised in media representations, Cherrybomb comes off as a cross between a half-hearted Daily Mail editorial crossed with a humourless Porky's. To whit, My Super Sweet Sixteen is more dramatic and horrifying than this film. Worse still, it feels either like the writer has lived an utterly sheltered life (and so finds the events genuinely shocking), or is writing directly from personal experience, in which case they need to realise that their life is not interesting enough to sustain a movie. Even the ridiculous tagged on ending fails to stir. 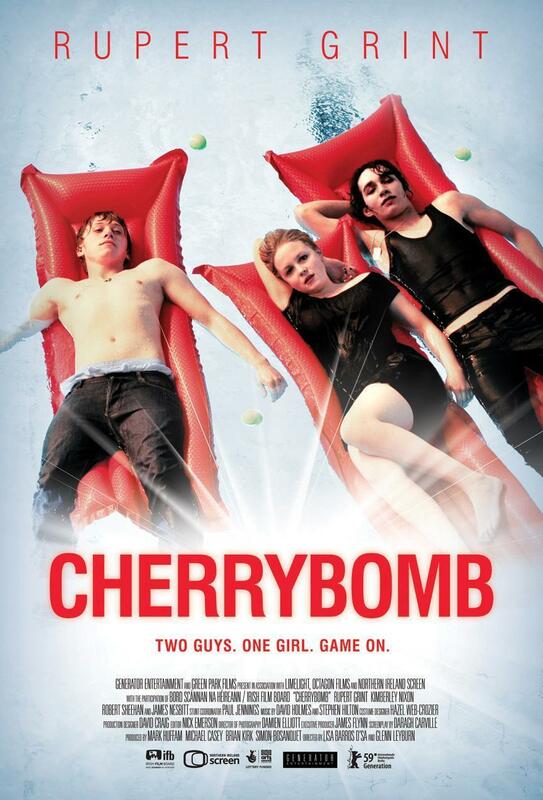 In short, Cherrybomb needed to be explosive, but unfortunately it is a dud.